During the July-September period, the company's profit grew 28.81 times to Rs 1,263.70 million as against Rs 43.87 million during the corresponding quarter of 2009. Net sales for the three month period ended September 30 surged 17.77 times to Rs 2,521.40 million. The company's total income for the period under review rose 17.60 times to Rs 2,527.90 million as compared to the same period of 2009. 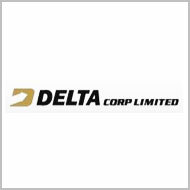 Delta Corp has registered an EPS of Rs 7.56 during the quarter.